Spring and Easter offer delightful opportunities to practice basic number skills with preschoolers through hands-on play. 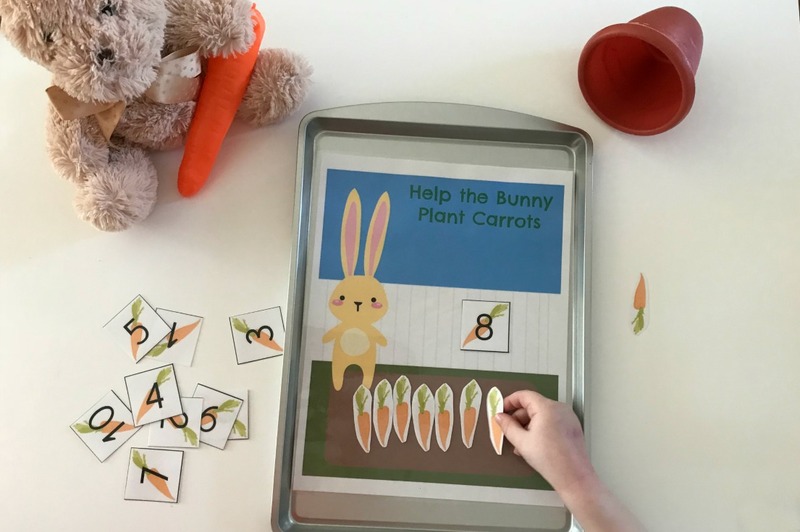 Use this fun Bunny Math Counting Activity to encourage one-to-one correspondence skills when preschoolers help the bunny plant carrots in the garden. Disclosures: this post and others within the blog contain affiliate/distributor and/or sponsored links and content. Please see our disclaimers and terms for more information. Self-Laminating Sheets work well if you do not have a laminator at home or in the classroom. Laminate, if desired. This will keep the activity sturdy and resilient for use with multiple children or for use annually. Cut out the number cards and carrots. Prepare an invitation to learn by putting the activity on a cookie sheet or tray at a learning center. I’ve found this method is a great way to intrigue young learners to the activity and cookie sheets help keep activity pieces contained (you can find affordable cookie sheets at your local dollar store.) You can take it a step further and put a few small plush rabbits, felt carrots, plastic gardening tools on the table just to set the scene for fun springtime play. This activity teaches preschoolers a necessary skill called one-to-one correspondence. That is, assigning one number per each individual item and understanding that each number represents a corresponding number of items. Find out more about preschool math skills and one-to-one correspondence here. 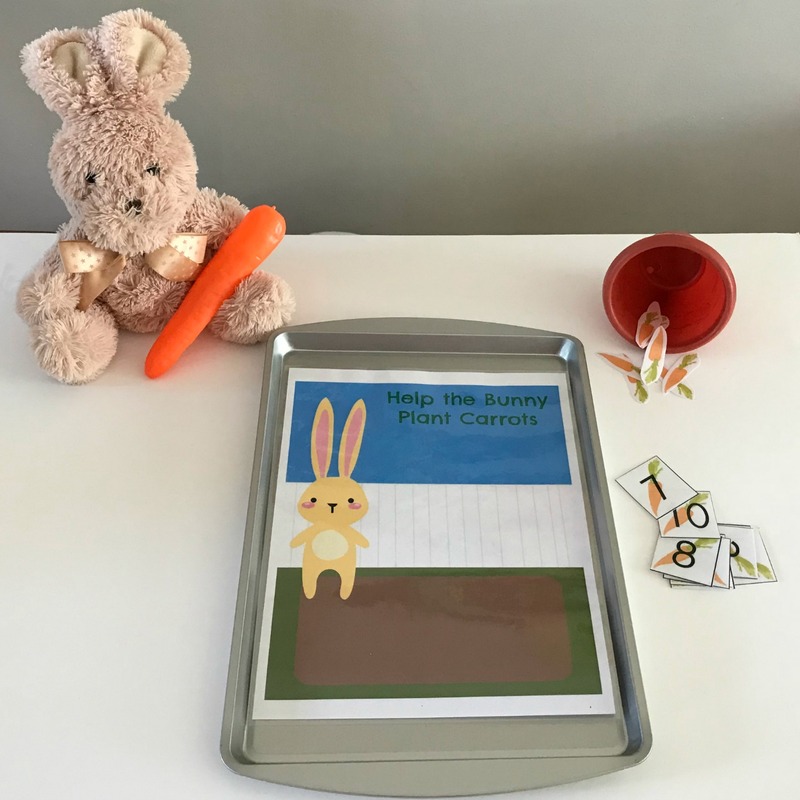 To introduce this activity to kids, you can start with a prompt that the Bunny needs to plant carrots in his/her garden. 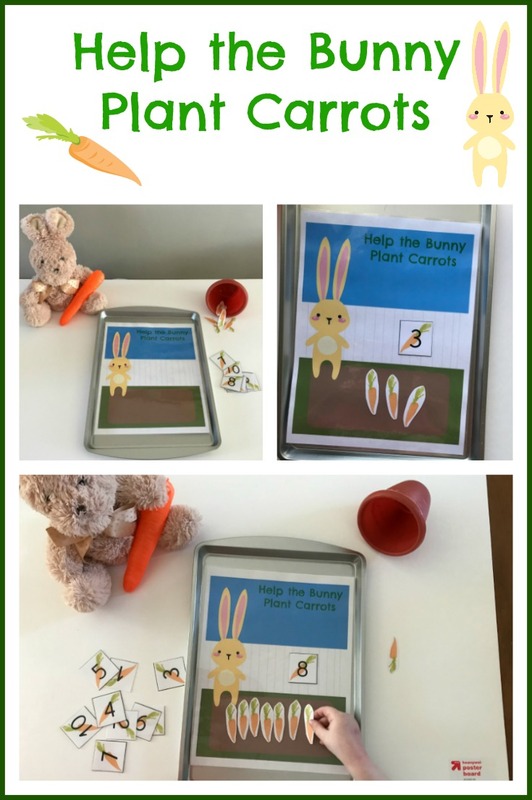 Encourage them to draw a number card and “plant” (or place) the corresponding number of carrots in the bunny’s garden. Once done, the carrots can be individually recounted to ensure accuracy. Another way this printable can be used is with adult facilitation or by pairing up children. Child 1 places a random number of carrots in the garden. Child 2 will then choose the number card that matches that specific number of carrots. Make a list of what bunnies like to do. Create stamp art with paint and plastic bunnies. Make homemade orange “carrot” playdough. 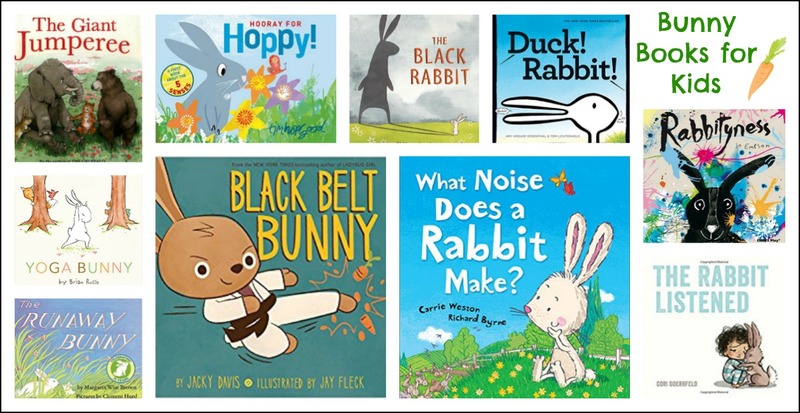 Get little bodies moving with a bunny color hop. Play “Pin the Tail on the Bunny”. Plant carrot seeds in a classroom garden. Create a garden sensory bin using raw carrots, plastic shovels and small plastic pots. Make bunny masks out of paper plates. 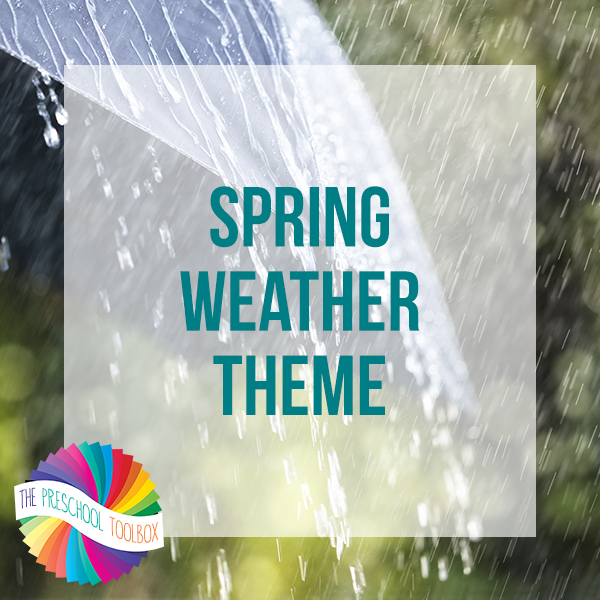 Your kids might also enjoy learning with our Spring Weather Theme available here on the blog. 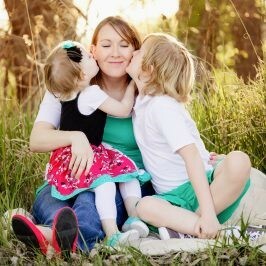 It’s filled with Spring Weather playful learning designed with your preschooler in mind! « Fruits & Vegetables Playful Learning Activities for #Preschoolers! Thanks. As other posts, this works like charm too.